The Cashflow module is designed for vtiger CRM 7 Open Source. 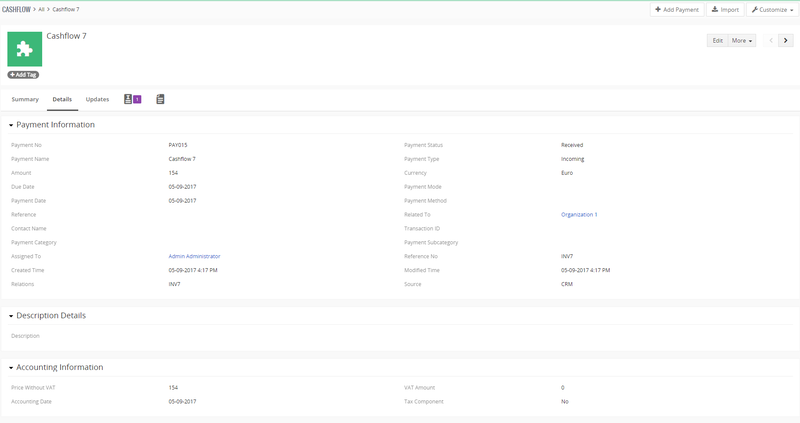 The Cashflow module helps you to register your incoming or outgoing payments and associate that payment with other entities in the vtiger CRM Open Source. The extension allows you to track incoming payments that we will receive from customers or will have to make in the future. 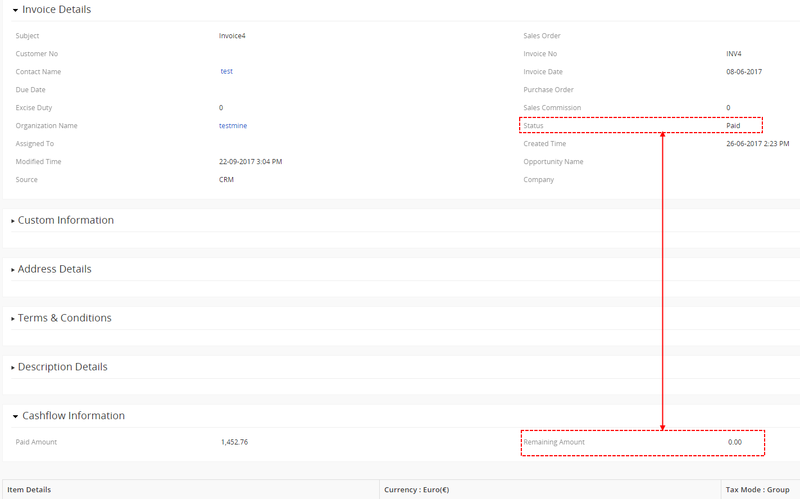 So it is easy to create a Report or Custom view on payments forecast for incoming or outgoing payment made by our company. It enables you to define payments for some categories like (goods, services, …). It is highly recommended to finish the installation without any interruption. For successful installation we need to exchange information (see license for details). Install the .zip (package) file of the Cashflow module via Setting -> CRM Settings -> Module Management -> Modules. 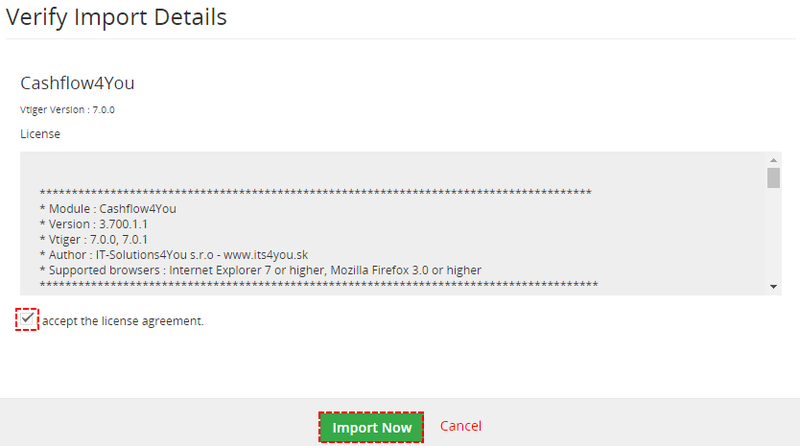 Click on the Import Module from Zip. Note: If you have after this step error message: Sorry! Attempt to access restricted file. Please check if folder test/vlib has correct write permission for browser (apache, www-data). In order to finish installation, please provide following validation steps. Cashflow Validation Step. Please check your Company information and insert license key. Make sure that your server has Internet access. Click on button [Validate]. If you want to change your Company information, click on button [Change Company Information]. If Cashflow is installed successfully you will see following screen. Click on [Finish]. The upgrade of the Cashflow is initiated in the same way as Cashflow installation or click on Upgrade link in ListView of Cashflow. So please refer to above installation part for details how to initiate the import of the module from the file. 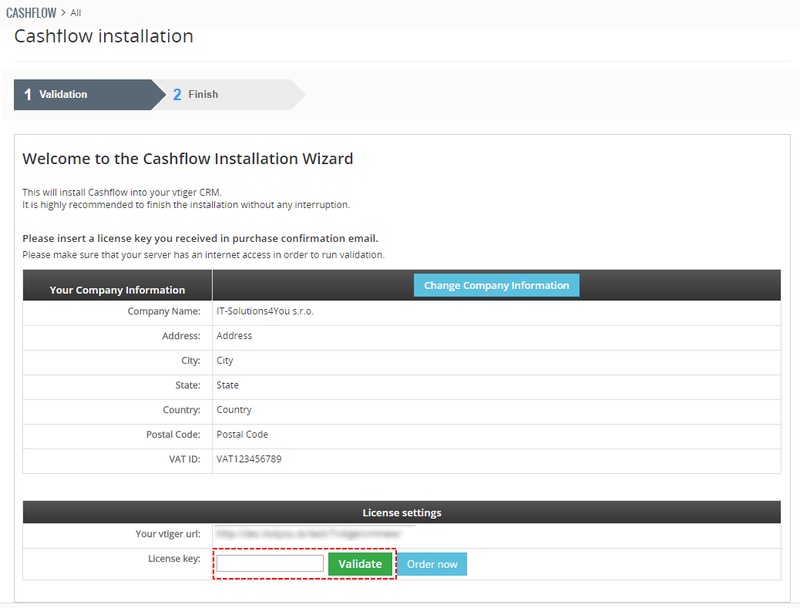 As you can be seen on the Picture below you will be notified that the Cashflow module already exists. Confirm License agreement and upgrade will start immediately when you click on the button. Payment Name Payment Name; used to distinguish payments. Payment Type Type of the payment. Can be only incoming or outgoing. The fields mentioned in the Table 1 are enough to be filled in order to create simple payment but they are not sufficient to utilize the real potential of the Cashflow. 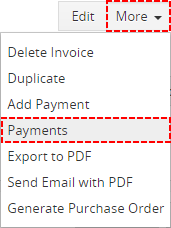 Using additional fields you can simply refer the payments to entities of other modules (INV, SO, PO, CN, PI, OP), check the status of payment (invoice) or define payment category to have better view of your business. Payment Date Real date of payment. Payment Status Status automatically defined based of Due Date and Payment Date. Payment Subcategory (Sub)Category of the payment. User editable field. The Cashflow4You takes care also in case of payment(s) for sales order and additional payment(s) for related invoices. This scenario is described in details in the chapter (4.5 SO – payment – INV – payment scenario). manual creation of the reference – you can assign each payment to Organization or to Vendor according to your needs, i.e. 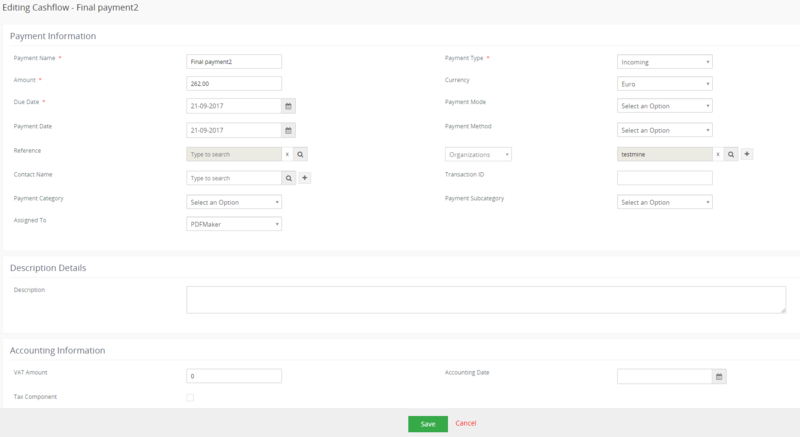 you can assign payments to Organization or Vendor although the payment is without any reference to INV, SO,PO, PI, CN or OP. Go to the DetailView of the module Invoice or Sales Order or Purchase Order or PreInvoice or Credit Notes according to your needs and click on button and select Add Payment or Payments. The EditView will appear on the screen. 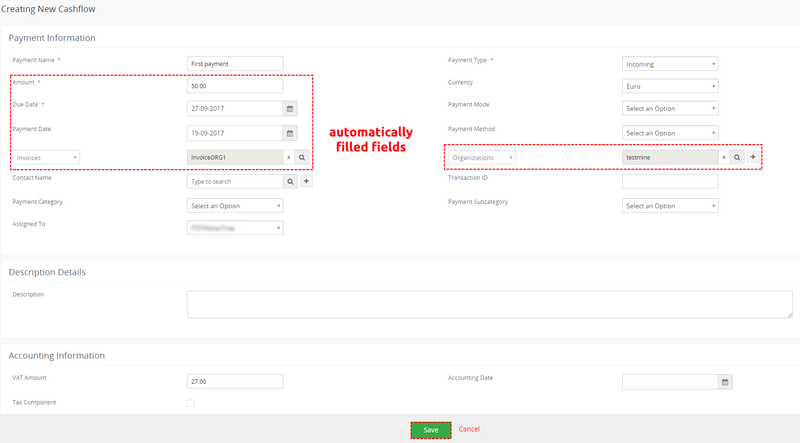 As you can see below the fields Payment Type, Amount, Due Date, Payment date (actual date) and references to invoice (SO, PO, PI, OP, or CN) and organization or Vendor are already available and based on fields from related record. Fill in at least all missing required fields. You can also define Payment Category and Payment Subcategory. Please note that you can define your own values for these fields. Please refer also to chapter Payment block for more details regarding block Payments. Go to the ListView of the module Invoice and select two or more invoices. Click on More button and choose Create Payment. 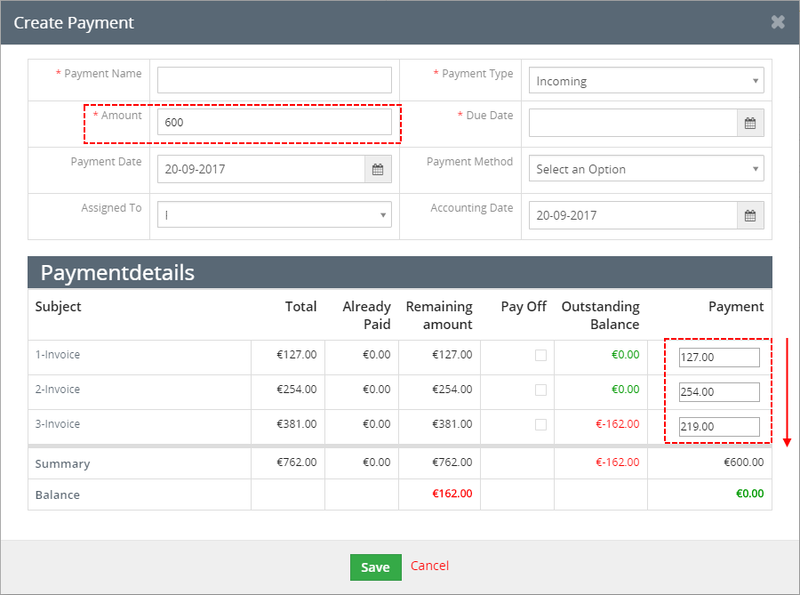 New functionality you can use when Amount is less than Summary of Invoice’s Total. Standard behavior of Cashflow is that Cashflow try to use Amount to balance Invoice in Order. But now, you can prioritize Invoice by using check-box Pay Off. In the More Information part of Payment you can find references to these Invoices. The Amount and all particular payments are editable in case you want to define them according to your needs. Currently there is restriction that Amount <= Sum of all payments i.e. final Balance has to be zero. Please note that Due Date is not prefilled because can be different for more Invoices. You have to define your own date in this case. Go to the Cashflow ListView and click on button . The EditView will appear on the screen. Fill in at least all required fields. You can also define Payment Category and Payment Subcategory. Please note that you can define your own values for these fields. Save the payment. The common tasks like add/delete Cashflow, import/export Cashflow or start editing have to be initiated via Cashflow ListView. Go to Menu → SALES → Cashflow and Cashflow ListView will appear on your screen. The Payment block can be found in the DetailView of the modules Invoice, Sales Order, Purchase Order, Credit Notes, PreInvoice and Opportunities when you click on Payments in . Its main purpose is to allow creation of the new payments directly from the DetailView of the related record. In addition it informs you about list of already created payment or partial-payments, the sum of already created payments and the balance. The balance is counted as Grand Total – sum of all payments (including waiting payments and outgoing payments). The balance is used to predefine the Amount in the new payments creation. 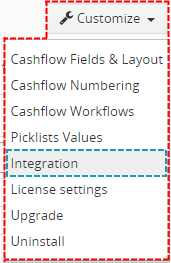 If you want to disable Cashflow for some module please check chapter Integration. 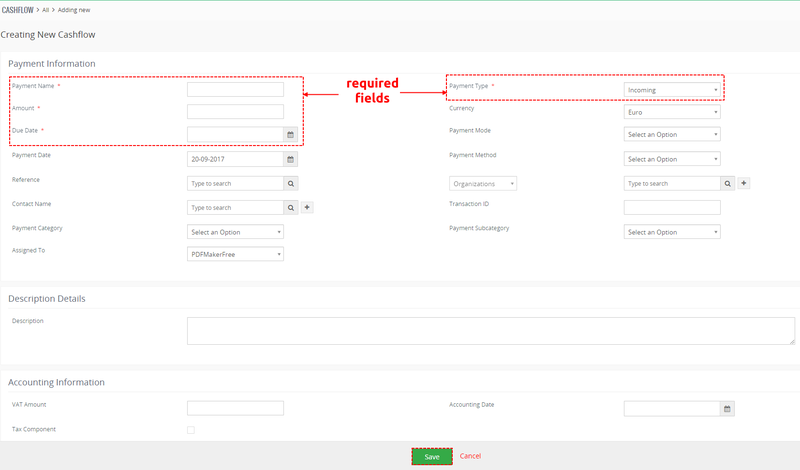 These two fields are very useful in case of creation filters/views for modules Invoice, Purchase Order, Sales Order, PreInvoice and CreditNotes. 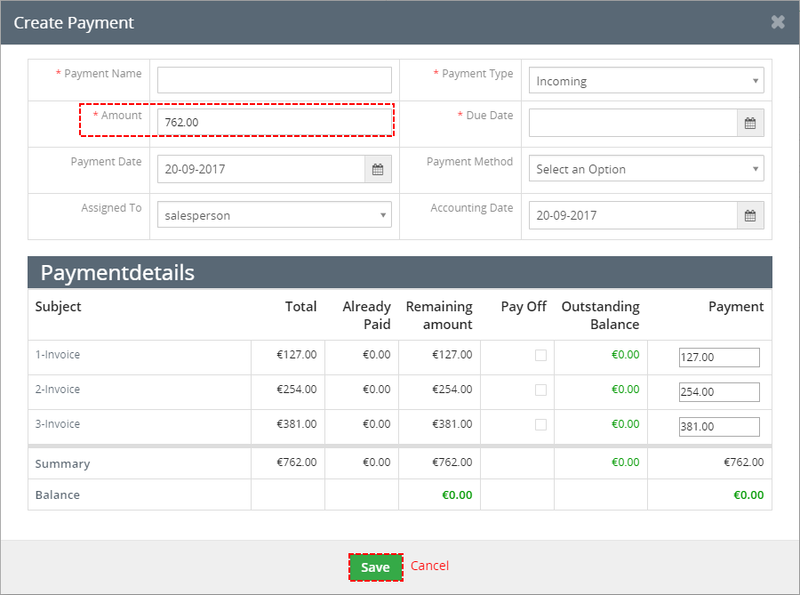 So you can obtain real view of Invoice, Purchase Order, Sales Order, PreInvoice and CreditNotes already paid or still not paid etc. irrespective of Invoice, Purchase Order, Sales Order, PreInvoice and CreditNotes status. The value of Remaining Amount is also used to automatic change of the INV/PI/CN status (4.4 Invoice/PreInvoice/CreditNotes status change). The PDF Maker is extension tool designed by ITS4You for vtiger CRM. It is powerful and flexible tool which allows users of vtiger CRM to create own pdf templates. Please note that this will work only with PDF Maker Professional. 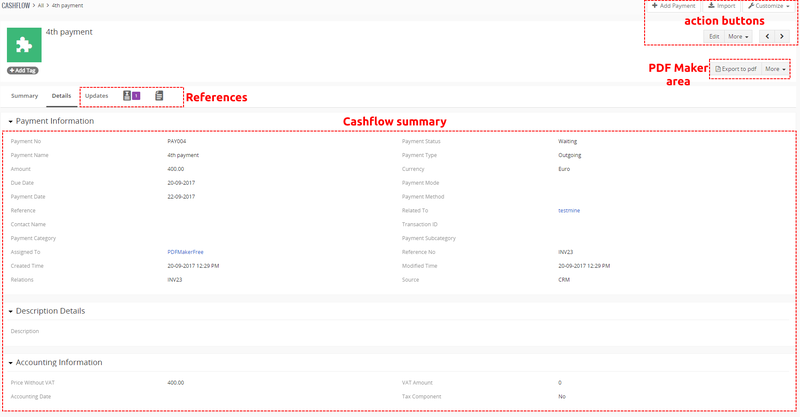 You are able to export PDF from DetailView/ListView of Cashflow. Note: Please check also: 6.2 Correction showing Cashflow Information block values in PDF Maker. The Cashflow4You allows you to attach the documents to payments. It can be simply done using buttons and in the DetailView of Cashflow. CREATED – when Remaining Amount > 0 ; for example also in case the payment is remove, change amount of payment etc. 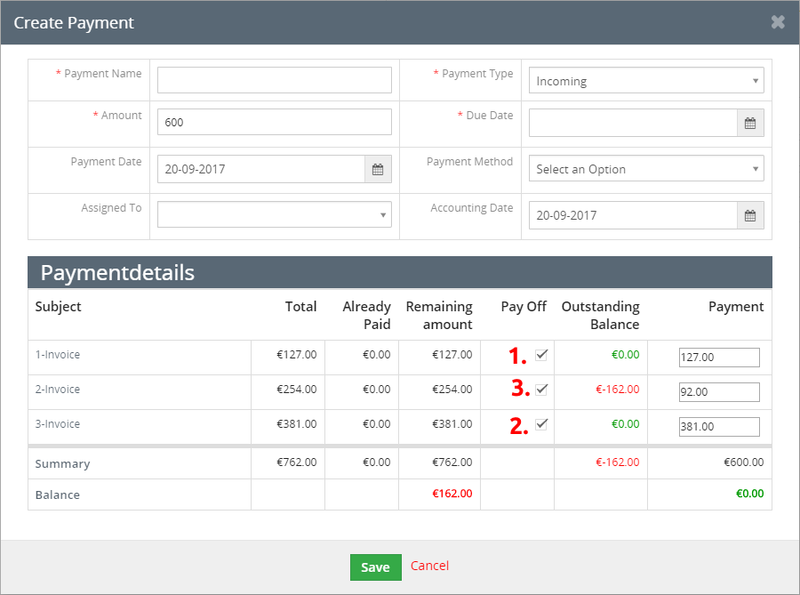 It is also supported inside Cashflow4You to monitor and take into account the payments done within Sales Order to related Invoice. Please note that if you create payment for SO after creating Invoice. This payment wont be assigned to Invoice. 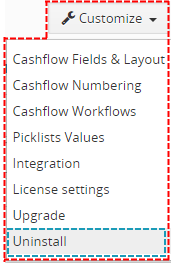 Settings part you can find in ListView and DetailView of Cashflow module. Cashflow Fields & Layout, Casfhlow Numbering and Cashflow Workflow are standard vtiger setting options so these options are not included in this manual. 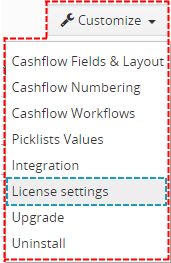 There is new option to enable or disable for which modules you want to use Cashflow. After installation is Cashflow enable for Invoice, Sales Order, Purchase Order. You can change it in Integration settings. Now, please choose for which module(s) you want to enable or disable Cashflow. 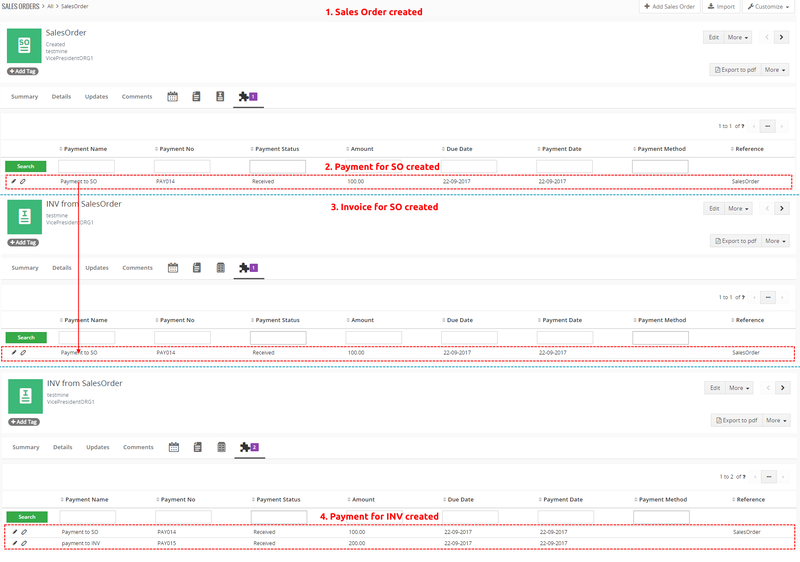 On the next picture you can see differences between enabled and disabled Cashflow extension in Sales Order module. If you disable Cashflow for module, you do not lost your created Payments. 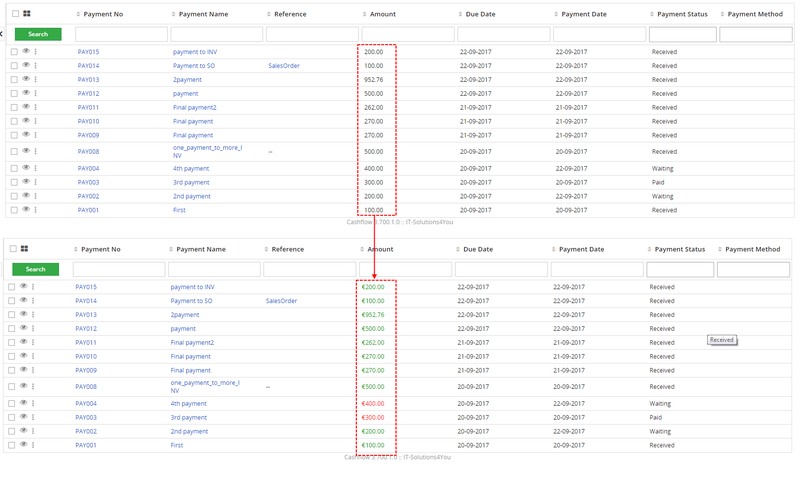 After you re-enable Cashflow you will see your Payments again. To open License settings part please click on License settings link. After deactivation of license, Cashflow doesn’t work at all and Cashflow work area is not accessible either. In case that some problem occurs with license key (moving, copying, migrating, changing Company info) you need to reactivate your license key. Now, Cashflow is removed from your vtiger and your license is deactivated. To use Cashflow again you need to provide installation and validation steps (see chapter 2. How to install Cashflow). If you want to show values from Cashflow Information block in Reports you need to do some changes in vTiger source code. Please provide following steps. Would you like to have formatting like on following picture?